We are a credible Manufacturer, Exporter and Supplier of PTFE Coated Fabric. 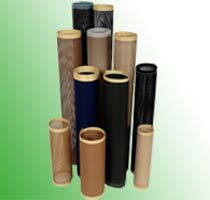 Our range of PTFE Coated Fabric includes Tex Range PTFE Coated Fabric, Tex Porous Range PTFE Coated Fabric, Tex Open Mesh Range PTFE Coated Fabric, Fuse Range PTFE Coated Fabric, and Food Processing Range PTFE Coated Fabric. PTFE Coated Fabric, offered by us, is used for a number of industrial applications such as heat and cold resistance, electric insulation, corrosion and moisture resistance. 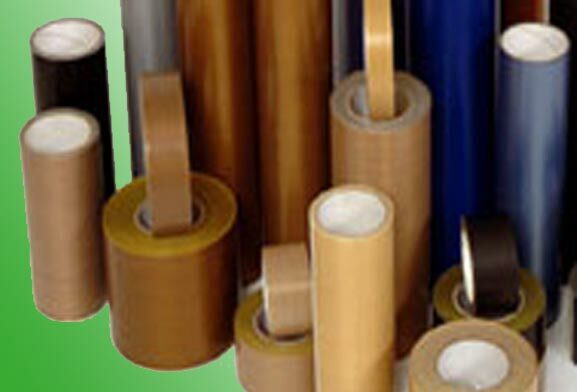 These PTFE Coated Fabrics also have high impact strength and wear resistance. PTFE is best known generally as a non-stick lining in cooking utensils and on cutting tools, and as a thread seal tape. 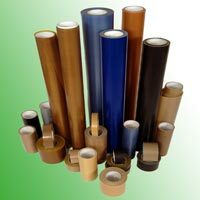 There are a vast number of industrial uses for which PTFE is available as block, sheet, rod and tube, all of which can be machined in similar fashion to metal. PTFE film can be formed by casting, extrusion or skiving (veneering) processes. .
Fluorinated Ethylene Propylene (FEP). Working temperature is -260oC to +205oC. As it forms a proper film surface (as opposed to the micro-porous sintered surface of PTFE) it has lower permeability to most liquids and gases (and resists the locking on of ice). Impact strength and wear resistance are also higher.